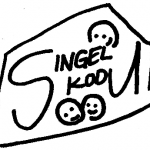 Hosting organisation MTÜ Singel Kodu (details: http://www.singelkodu.ee/) located in Viljandi, Estonia is looking for EVS volunteers. The project with EI ref. 2012-EE-8 will start 1st September 2012 and its duration is 1 year. 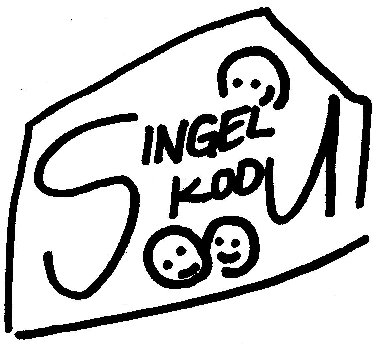 MTÜ Singel Kodu is offering supported living service in Viljandi social house for the 15 mentally disabled people and people with psychological illnesses. The social house is the place where disabled people live and the stuff of Singel Kodu is there to help them from Monday- Friday. Mainly there are certain days for certain activities like Mondays they learn everyday life skills, Tuesdays they consentrate on motorical skills and Wednesday they develope social and communication skills through different role plays and games; Thursdays they draw and Fridays are for free time activities like watching movies, going to museum. The stuff is working with every client in one week at least 2 hours, some activities are held together with all and some personally, it depends deeply from clients´ needs and capability of doing something. As the place is for living for disabled people then also the activities and workshops depends from their working shedlue , going to daycare centre, from their illness and so on. Every month is held different events, lectures and outings depending on celebration dates – Christmas, Anniversary of Republic,Easter, spring and so on. For this occasion there are held different workshops – about traditions, decorating the house, making cards,cooking and having lunch together and so on. Proposed Tasks for Volunteers: The main task is to help disabled people and the stuff in their daily activities and organising different activities and workshops for the clients. Volunteer’s tasks depend very much on his/her interests and skills. In the very beginning of the project volunteers will have the time to become acquainted with the work and then find the most suitable activities for him/herself. With the working mentor they will make certain working plan for the volunteer and she/he will be always quided through project. Depending on the volunteer’s and clients’ interests, following activities can be adapted: • assisting, planning and running creative workshops and activities for developing everyday life skills, motorical skills, social skills and communication skills, cognitive skills; • assisting to arrange outings, excursions and camps and taking part in those; • presenting his/her own country and culture; • leading foreign language conversation lessons for clients; • personal assistant for physically disabeled clients when needed; • assisting to creat and developing projects. Selection Criteria: There is no previous experience or skills necessary for volunteering at Singel Kodu. Only basic Russian/English is necessary for communicating with the staff. Candidate should be open-minded, creative, energetic, responsible, adaptable, sociable, patient, have a positive attitude and like to take their own initiative. S/he should have an interest in Estonian culture and learning Estonian, as in this region, not so many people speak English. Interested? Send your CV with photo and motivation letter to Helen@vivak.ee until 20th April 2012 (contact person: Helen Visnapuu).